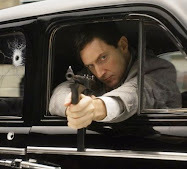 Hello and welcome to the RA Fan Blog! This is a light-hearted place to marvel at Richard Armitages's acting skills, drool over his good looks, and bond with other RA admirers. (No, you're not alone in your fandom... *hug*) Things are never too serious around here. :) If you are new to this blog, please browse away! It has been up and running since July 2009, so there are many posts to look over. Please check out a few of my favorite posts HERE, which also happen to be the most "creative" (aka: crazy/quirky) stuff. Also, don't forget to check out the Stick-Figure Richard comics (based on RA and his work, videos listed below) and the list of "Enjoyable Blogs" and other RA sites further down the sidebar. Thanks for stopping by! I enjoy reading (mainly children's or young adult fantasy these days) and love watching movies~ especially period films, fantasy/adventure, and old musicals. I also like to go camping and fishing with my family, take tons of photos of my kids and just hang out with family and friends. I have a silly sense of humor, which usually appears on this blog. 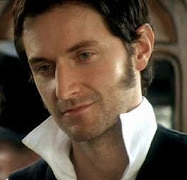 I first discovered Richard Armitage in April of 2009, while watching "North & South" and immediately became a fan of his talent thanks to Thornton Syndrome. I followed that up with the Robin Hood series and since then have seen most of his work. This blog has become such a fun hobby! 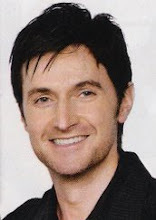 I've loved meeting fellow RA fans and making friends from all over the world as a result. Please don't hesitate to send your comments or questions my way!